Well, we find ourselves with another week gone by, and another great lineup of Kickstarter campaigns to check out! So what are we waiting for? TMG, not to be confused with TMZ, is back at it with a real-time co-op game that puts players in a high-pressure hostage situation, as you send in a robot that you've programmed to attempt to disarm the bomb! In the ever-expanding genre of co-op play, this is an interesting new installment! 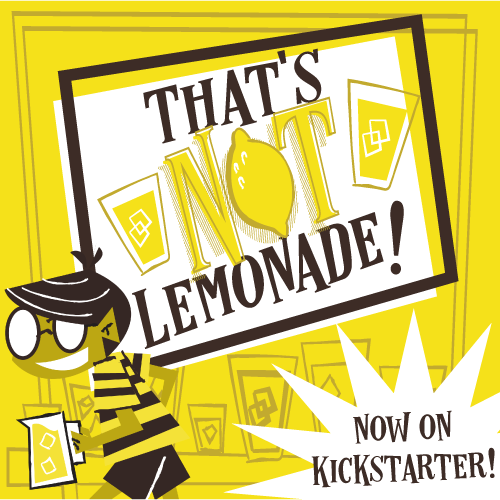 Jason Tagmire is Kickstarting another storytelling venture, this time designed by Alex Strang. Movie Plotz is a storytelling mini-game that has players creating, well, a movie plot. The game takes players through character development, story arc etc, and comes in a nice little pocket-sized package! If you're a fan of Story Cubes, or Jason Tagmire's Storyteller Cards, this is definitely worth a look, especially with the very accessible price point! Galactic Arena is a two-player arena battle game! Pick your hero, go to the arena, and have at you!! There's a set of multiplayer rules so you can put the smackdown on more than one person at a time! This one looks like a straightforward, power-up-your-hero-and-go type game, and we'll be previewing it here on TOG soon! Saar Shai is perhaps best known for making his mark in the gaming world with The Agents, a fun double-edged card game of espionage and intrigue. Well he's back with a game that claims to be the prequel to Chess! King Down pits players against each other as they vie for the crown of a fallen king. It blends strategic movement and card play all into one. And those miniatures... whoa. Well that's all we've got right now. As usual, we're sure there's plenty of awesomeness that we've missed! Let us know what we missed, and what you're backing, down below! !